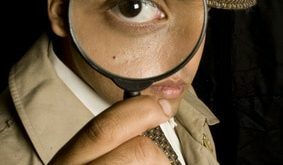 Home / Forensics / Where do Forensic Psychologists Work? If you would like a career that involves both the law and psychology, then working as a forensic psychologist might be the perfect job for you. Forensic psychologists are often called on by the court to help with a case. However, this does not always mean making a courtroom appearance. Usually it means office work doing a variety of interviews. When a forensic psychologist is asked to work for the court, they are working on cases such as child abuse. The psychologist will meet with all parties involved in the case in order to determine guilt or innocence. The court also regularly calls on these psychologists to handle child custody cases. They are responsible for meeting with the parents and the child to view interactions before giving an opinion on what custody arrangement is in the best interest of the child. Lawyers often use forensic psychologists during jury selection because of their experience in reading people. They do this by watching a potential juror’s actions and body language to gauge if he or she would be a beneficial member of the jury. Forensic psychologists are also asked to provide witness or courtroom testimony regarding psychological questions during a trail. If the mental institution has a criminal ward, forensic psychologists work there in order to meet with a newly admitted criminal to determine his or her mental state. They are then responsible for creating a treatment plan and determining if the criminal is competent to stand trial. Many forensic psychologists spend a lot of time working in prisons. They work with parole officers to assess inmates that are about to be released on parole. They also help inmates curb their violent tendencies, and sometimes, they work with probation officers to counsel criminals on probation. Forensic psychologists can work as college professors and teach courses regarding the forensic psychology field. Another option is working in an elementary school to assess children who may be victims of domestic abuse. This job is currently in high demand in areas that have a high crime rate. As a forensic psychologist, you can choose to work for the FBI, where you will have a wide range of duties. One of them will be looking over a crime scene to try to figure out the behaviors of both the perpetrator and the victim. Another aspect of the job includes using tests and assessments that were developed by other psychology experts and researchers to evaluate individuals. The tests include evaluations for reliable witnesses and to determine if a perpetrator is a drug addict. Forensic psychologists can also work in research. They still work with criminals, but only in an academic setting. They try to determine trends and identity patterns so they can publish their findings in scholarly journals. Many of the researchers are also college professors, but there are some who make analysis their full-time career. Forensic psychologists are very important to law enforcement and the court system, but before you can apply for a job in this field, you first have to earn a college degree. The most well-known and highest paid forensic psychologists often hold a doctorate degree in psychology. If you would like to learn more about where they work as well as other information regarding this field, contact us at Legal.Education. We will be happy to help you discover more about this exciting career.